The economy X stand is made of plastic. 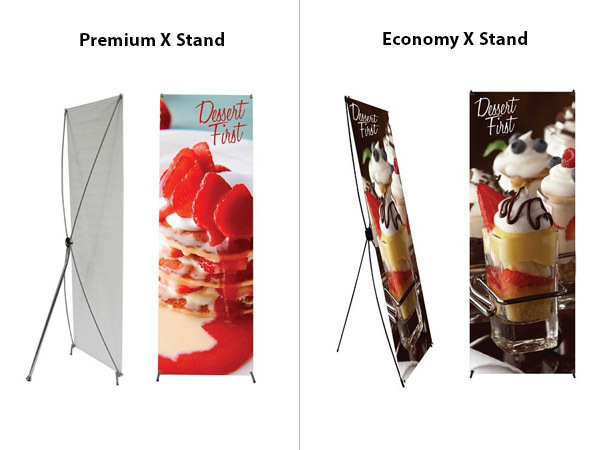 The premium X stand is more durable. Made of carbon fiber, the arms are thinner yet can carry greater tension.